Big Freedia attends the “Twerk Of Art” Photography Collection from Big Freedia at World Of Wonder on February 23, 2015 in Hollywood, California. Season 3 of “Big Freedia: Queen of Bounce” premieres on February 25 at 11pm ET/PT on FUSE TV. *“Bounce” star Big Freedia pleaded guilty Wednesday (03-16-16)) in a New Orleans federal courtroom to the theft of nearly $35,000 in federal housing voucher money. The entertainer, whose real name is Freddie Ross Jr., admitted she fraudulently accepted Section 8 vouchers during the time she was also collecting bank from reality TV gig. Freedia initially claimed financial ignorance led her to take the housing voucher money. U.S. District Judge Lance Africk ordered the music star “released on a $25,000 bond and told her to surrender her passport. She faces a maximum 10-year sentence and $250,000 fine at a June 16 sentencing hearing,” per The Advocate. Big Freedia is accused of stealing more than $1,000 from the Department of Housing and Urban Development between 2010 and 2014. She and the government reached a plea deal, in which she is to pay restitution of approximately $34,800. The vouchers she improperly used are intended to serve the “very poor, elderly and disabled,” said Assistant United States Attorney Jordan Ginsberg, reading from the statement of facts in court. In Freedia’s annual Section 8 “recertification” forms, she failed to disclose all income, reporting 0 income in 2010, and didn’t notify HANO about changes with her finances. 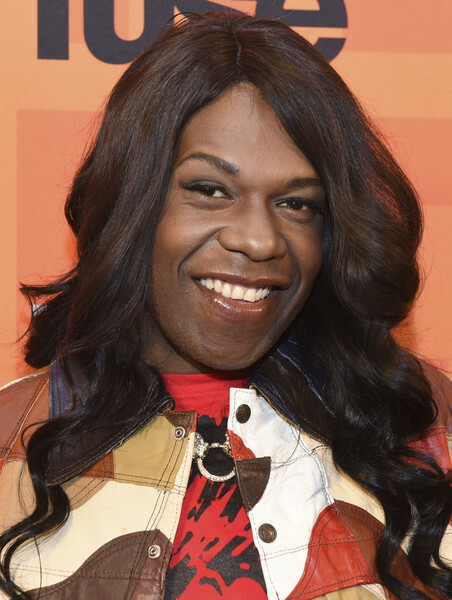 Had she done so, the government would have determined she earned too much money from her work as a musician under the stage name “Big Freedia” to remain eligible for the vouchers. “And that’s the situation my client finds herself in now” says her lawyer. That is a man. A big, greedy, greasy lipped, bad wig wearing man. Nice eyebrows though.